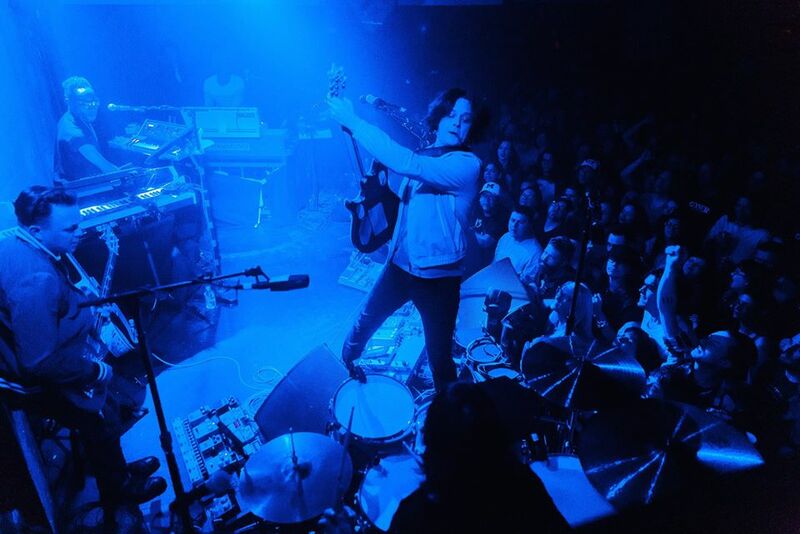 Jack White is streaming live video of the “Boarding House Reach” single, “Over And Over And Over”, from a March 17 performance at the Blue Room in his Third Man Records offices in Nashville, TN. White issued the footage in sync with the release the 3LP vinyl-only set, “Live At Third Man Records / Nashville & Cass Corridor”, which is available exclusively to subscribers of The Third Man Records Vault subscription service as of July 31. Packaged in a die-cut sleeve with peep-in artwork reminiscent of Led Zeppelin’s “Physical Graffiti” or The Rolling Stones’ “Some Girls”, “Live At Third Man Records” is available on black, blue and white vinyl, accompanied by aa Hack White logo flag and three glossy 8x10 professionally-shot images by White’s personal photographer David Swanson. The rocker will launch a new series of North American dates on August 4 at The Metro in Chicago, IL, before a closing night headline set at the city’s Lollapalooza the next day.